Stealth™ 16g is the world's lightest safety eyewear, weighing just 16g. Next generation ultra-thin and ultra-strong optically perfect lenses moulded using the latest technology to deliver a thinner lens that meets the EN166 1.F requirements. 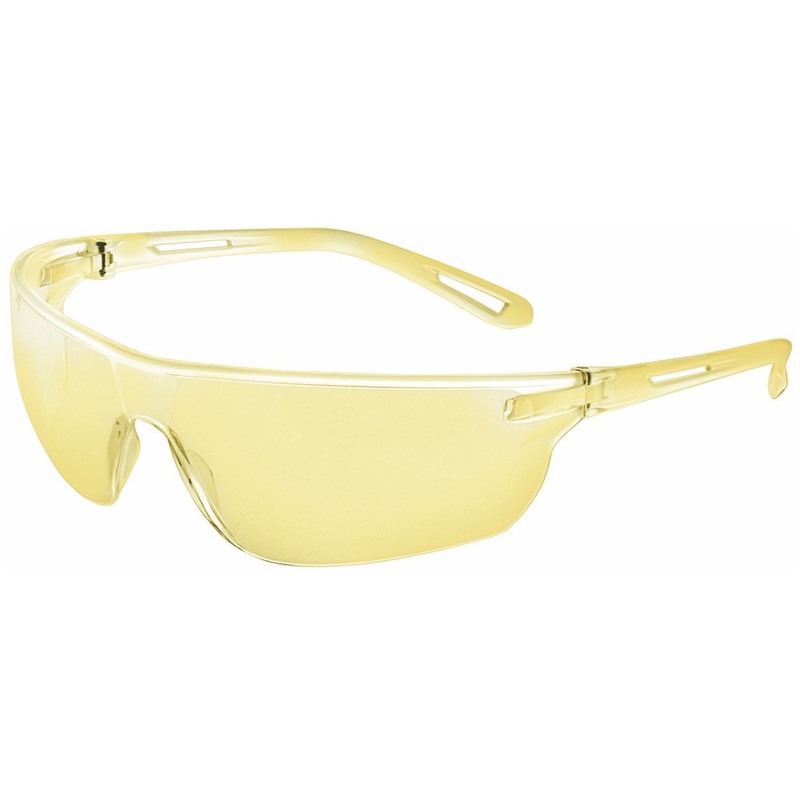 • World's Lightest - At 16g the Stealth™ 16g is the world's lightest safety spectacle. • Quality lens - Dual 9.5 base ultra-thin &s ultra-strong optically perfect lenses. Because they are so thin they transmit more light than other spectacles improving vision and lowering eye strain. • Integral nose bridge - The built in nose bridge has been designed and shaped to fit most face shapes comfortably and securely. • Spectacle Cord Anchor - The temple tips have a spectacle cord anchor point for further practicality, preventing loss or scratching from being put on rough surfaces.